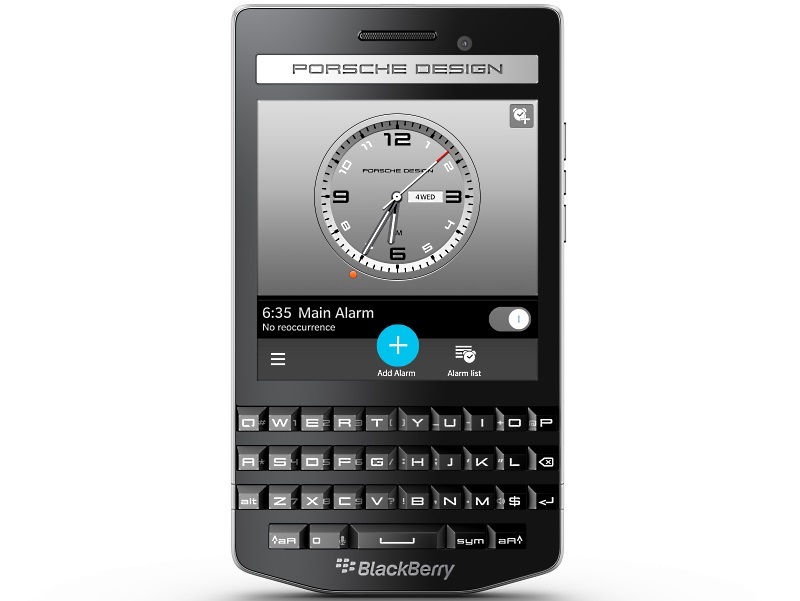 BlackBerry has expanded its premium smartphone range in India with the launch of the Porsche Design P’9983 Graphite. Priced at Rs. 99,990, the new premium Qwerty smartphone will be available to buy in the coming days. The move to launch its new premium smartphone now appears to be an attempt by BlackBerry to tap the upcoming festival season in the country. The new premium Qwerty smartphone is a variant of the Porsche Design P’9983 smartphone that waslaunched last year. Initially launched in May, the BlackBerry Porsche Design P’9983 Graphite smartphone features “exclusive graphite-metallic coloured elements” while also sporting “hand-wrapped leather on the back door cover.” The new Porsche Design P’9983 Graphite smartphone is the fourth smartphone launched in collaboration between BlackBerry and Porsche Design, with the others being – BlackBerry Porsche Design P’9983, BlackBerry Porsche Design P’9982, and BlackBerry Porsche P’9981. For specifications, the Porsche Design P’9983 Graphite features identical innards as the Porsche Design P’9983 smartphone. It features a 3.1-inch touch screen with a resolution of 720×720 pixels and offers a pixel density of 330ppi. Under the hood, the handset is backed by a 1.5GHz dual-core Qualcomm Snapdragon S4 (MSM8960) processor coupled with 2GB of RAM, and 64GB inbuilt storage expandable via microSD card (up to 128GB). A 2100mAh battery powers the BlackBerry Porsche Design P’9983 Graphite, and it sports an 8-megapixel rear camera and a 2-megapixel front camera. For connectivity options, it features Wi-Fi 802.11 a/b/g/n; Bluetooth 4.0; LTE; FM radio; Micro-USB, and Micro-HDMI. One of the highlight features of the Porsche Design P’9983 Graphite is the unique PIN feature – BlackBerry provides an exclusive Porsche Design PIN range to every consumer. The new premium smartphone from BlackBerry comes with such BlackBerry 10 features as BlackBerry Hub, BlackBerry Blend, and BlackBerry World (for downloading business and productivity apps). The company in a press statement lists some of exclusive Porsche Design accessories that will be in the box including a premium stereo headset, an international charging kit, a polishing cloth, and a USB cable for high-speed data transfer.